Mini Lessons are concise tutorials on a narrow topic related to various lessons on the site. Modal interchange is the borrowing of chords from another key center. Parallel minor modal interchange chords are chords that are borrowed from the parallel minor usually in a major key context. We see this concept in action in Taylor Eigsti's introduction to his tune "Midnight After Noon" on his recording "Daylight at Midnight" as demonstrated in the lesson, Artist Voicings: Taylor Eigsti. In the eighth and ninth measures he plays beautiful drop 2 voicings over F#-7 and Emaj7, two chords that are not found in C# major, the key of the tune. Listen to it at 0:24. These chords are, however, found in the parallel minor key of C# minor (same key signature as E major, four sharps). By borrowing these chords from the parallel minor key he is able to incorporate harmonic interest with the additional chromaticism not available with just the diatonic chords of the major key. This is a common technique used in many tunes. Cole Porter's "Night and Day" is perhaps the most conventional example of parallel minor modal interchange chords. The tune is in C major but the first two chords, D-7b5 and G7b9, are the ii-7b5 and V7b9 chords borrowed from C minor. George Gershwin's "Embraceable You" uses these same chords too. Tadd Dameron's "Lady Bird" borrows the iv-7 and the bVII7 from C minor. To learn more about these chords watch the Artist Voicings: Taylor Eigsti lesson. 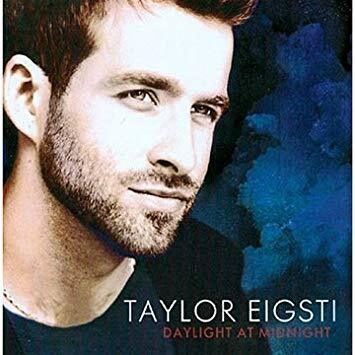 Check out the entire tune on Taylor Eigsti's 2010 Concord Jazz release "Daylight at Midnight." The altered scale is a handy scale to know. It offers all of the possible alterations to the dominant seventh chord: b9, #9, #11, b5 and b13. The altered scale is the seventh mode of the melodic minor scale. The F altered scale above is the seventh mode of the Gb melodic minor scale. One way to learn the notes of the altered scale is to think of it as the first five notes of the h/w symmetric dominant scale and the last four of a whole tone scale. In his solo over the changes to "In Your Own Sweet Way," from his 2004 Sunnyside release, "The Night's of Bradley's," Kirk Lightsey plays a lick that fits nicely over the F altered scale. Listen to it at 2:03. To see this lick in action, watch the Improvising Over In Your Own Sweet Way lesson. This vamp has some sus4 sound created by the Bb major triad hinted at in the second measure of the second bar. To learn how to gospelize your own soloing over the blues. Watch the Gospel Blues Lesson and Improvising Over the Blues: Wynton Kelly. 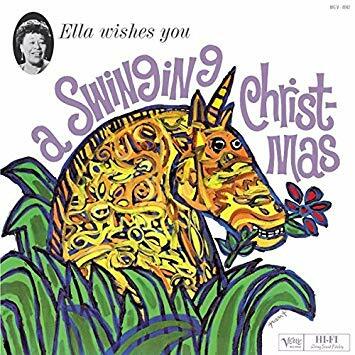 "Ella Wishes you a Swinging Christmas" is one of the foremost jazz christmas recordings of all time for a number of reasons not the least of which is that it represents a complete jazz arranging course in it's twelve tracks. And if you are working on improvising with arpeggios (see Improv Drills: Arpeggios) you can hear how they are used in the opening to the track (and throughout the arrangement) of "White Christmas." The vibes play a simple 3579 arpeggio with a chromatic approach from below on the Abmaj7 and then again on the Bb-7. The saxes respond with a 1357 arpeggio with a chromatic approach from below in response to the vibes call. These arpeggios are handy starting points for improvising with arpeggios. For more on how to use these arpeggios for improvisation watch Improv Drills: Arpeggios. Arpeggios are a sure bet when soloing. When in doubt, you can always play an arpeggio and it will sound good. And by preceeding an arpeggio with an approach pattern, you can build a flashy run that falls under your hand well and can be played blazingly fast all the way up the keyboard. 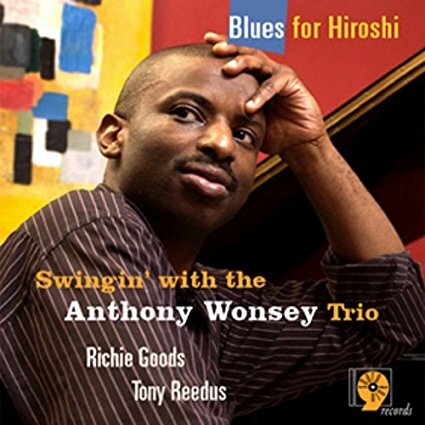 Anthony Wonsey uses this technique in the solo piano intro to "Just in Time" (at about 0:18) from his 2004 Sharp Nine trio album "Blues for Hiroshi." Over the F7 he plays a 35b79 arpeggio and then a chromatic from below/double chromatic from above/chromatic from below combination approach pattern. From here he just repeats the pair for two more octaves. He plays a similar lick in the A section of his solo to the tune. To learn more about that lick as well as other improvisational techniques that he uses watch Improvising Over Just in Time. 9s and 13s Get All The Attention. What about 11? It's true. Of the three tensions, 9 and 13 are the "chosen" tensions. Every major or dominant chord sounds better with some flavor of 9 or 13 combined with it. But don't count out 11 just because it gets a bad rap for ruining the sound of the major third in these chords. The 11 works it's magic in minor chords. Sneak it in between a 1 and 5 shell in the left hand as on this C-7. Or add it to -7b5 chords. Here it is on the top of this E-7b5 voicing. For more voicing ideas watch any of the From Lead Sheet to Arrangement Lessons. It is very flexible- play it over a dominant or major chord. To hear it, start with "Jordu" on "Clifford Brown and Max Roach" from 1955 during Clifford's solo at 1:11. Then try the slightly later (1956) "Introducing Lee Morgan" during Doug Watkin's bass solo on "Softly as in a Morning Sunrise at 2:07." Fast forward to Vincent Herring's 1993 MusicMasters release "Secret Love" and hear Renee Rosnes play it on the latin-tinged setting of "Have You Met Miss Jones" at 3:34. Renee must like this lick because she plays it again on the hard to find "Jazz Piano Christmas" disc put out by NPR in 1994 on her duo with James Williams on the tune "Let it Snow" at 1:47. You can find the lick on David Hazeltine's "The Classic Trio Meets Eric Alexander" from 2002 on Sharp nine Records on his tune Jessica's Night at 4:21 and again at 4:56 (as a sequence). Once you are aware of this lick you will notice it all over the place. 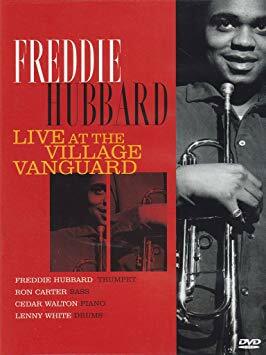 I was watching Live at the Village Vanguard Volume 1, an excellent DVD which chronicles a 1989 Freddie Hubbard Quartet gig at the Village Vanguard, when I noticed Cedar Walton quoting the infamous Ubiquitous Bebop Lick during his second chorus on Ron Carter's tune Little Waltz at 34:40. 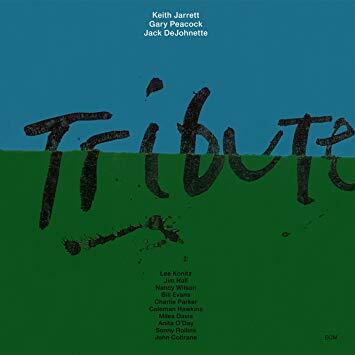 This standard is easily the highlight of the disc which also includes three other tunes, each one written by one of the band members. Coming of age in the mid 1940s, Red Garland had one foot in the Swing camp (pre 1945 Big Band jazz) and one in the sharply contrasting modern Bebop movement (post 1945 small group jazz). Or I should say he had one hand in each style. 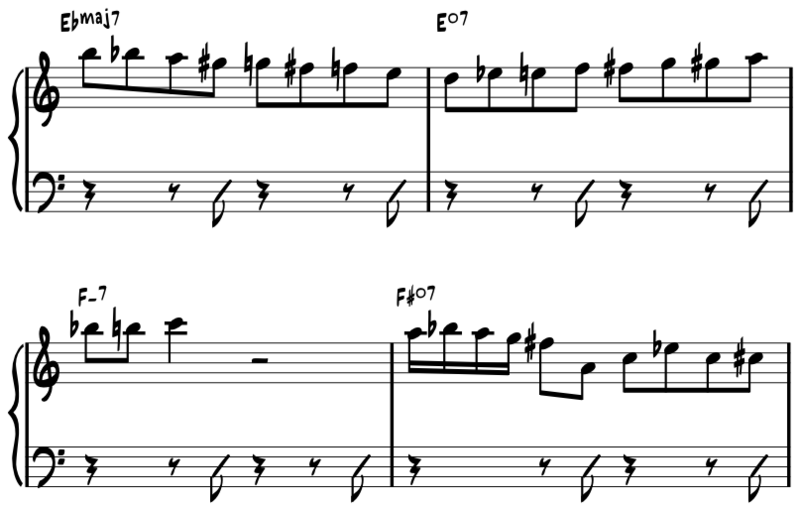 Red Garland's right-hand lines are clearly modern. He demonstrates extensive use of chromaticism and tension in his solos. 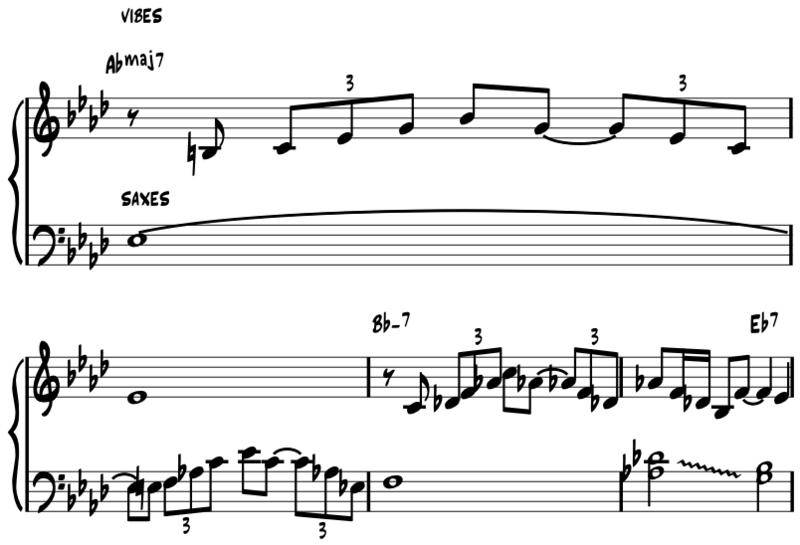 Check out this completely chromatic line from the B section of the first chorus of his solo over the tune It Could Happen to You from Miles Davis' 1956 release Relaxin' with the Miles Davis Quintet. Listen to it at 4:32. His left hand is another story. He frequently comps chords in a regular pattern reminiscent of Swing-type accompaniment riffs on the "and of 2" and the "and of 4." 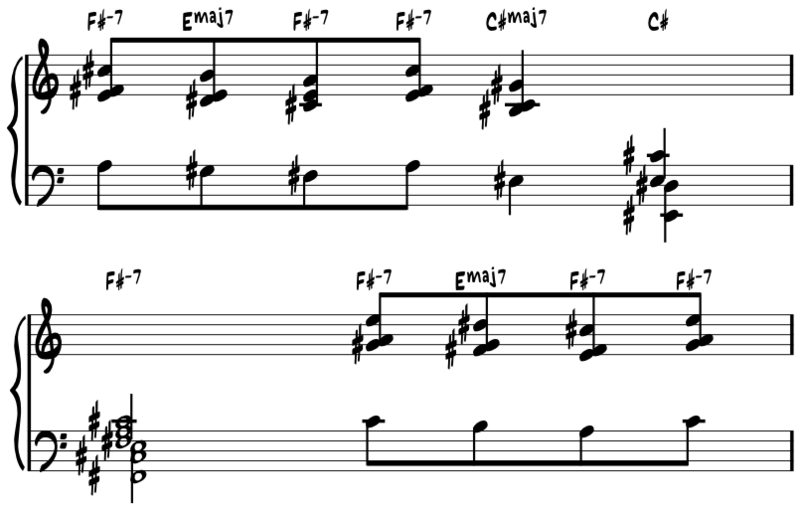 This consistent rhythmic comping pattern is a feature common to music of the Swing Era. Listen to Charlie Christian comp over the tune Air Mail Special (Good Enough to Keep) with the Benny Goodman Sextet and the instrumental background riffs of Count Basie's band during Lester Young's solo over the tune Honeysuckle Rose on Count Basie's Complete Decca Recordings. Listen to this track at 1:11. 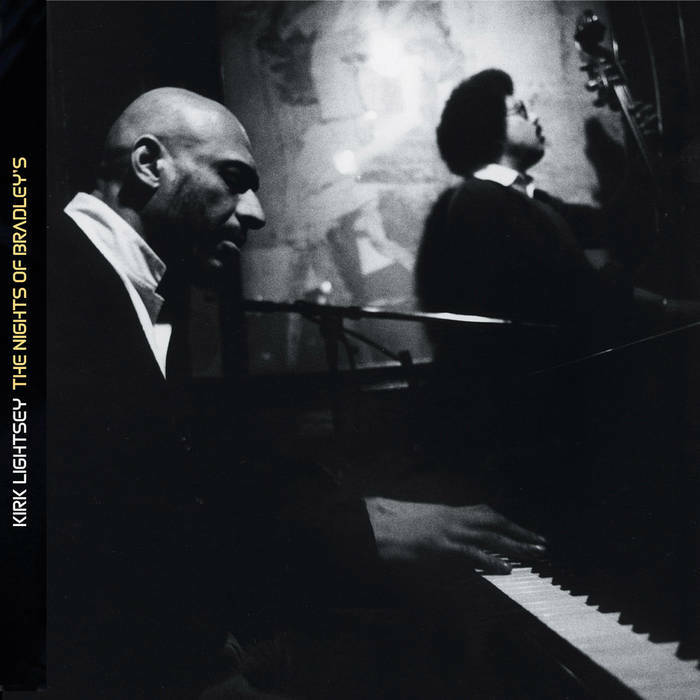 Red Garland's transitional style demonstrates performance aspects of both the Swing Era as well as the Bebop style. Tired of Playing the Same Old Licks and Patterns? Don't Be! Your predilection for melodic ideas is what makes you, "you." Your "sound" is the manifestation of your musical personality that is borne out by your harmonic and melodic preferences. Even though you may be tired of hearing your ideas day after day, they are new to your listeners. Embrace your "same old licks" as your unique musical fingerprint. Granted they were recorded within days of one another and may even have been back to back takes. So don't fret; repeat the same old licks as much as you want. It's who you are! Click on the album covers below to learn more about them. 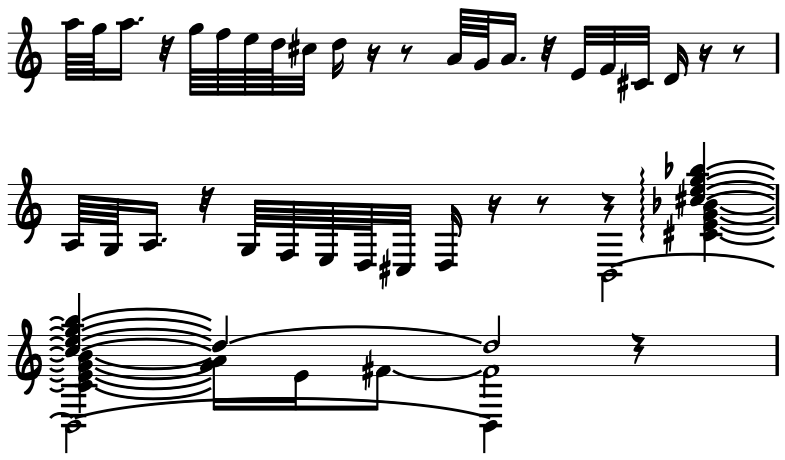 Below, the melody is embellished with approach patterns. In the first measure the G and the Bb are approached chromatically from below (F#-G; A-Bb). The Eb in measure 2 (b3 of C-7) is preceeded by an enclosure, in this case a chromatic from below/scale from above approach pattern (D-F). In measure 3, the F is approached by scale from above and the 3rd of the Bbmaj7 (D) in measure 4 is approached by a scale from above/double chromatic from below approach pattern. In measure 6, the b3 of the A-7b5 (C), is approached by a combination double chromatic from above, chromatic from below/scale from above approach pattern, in the process delaying the chord tone to the third beat of that measure. 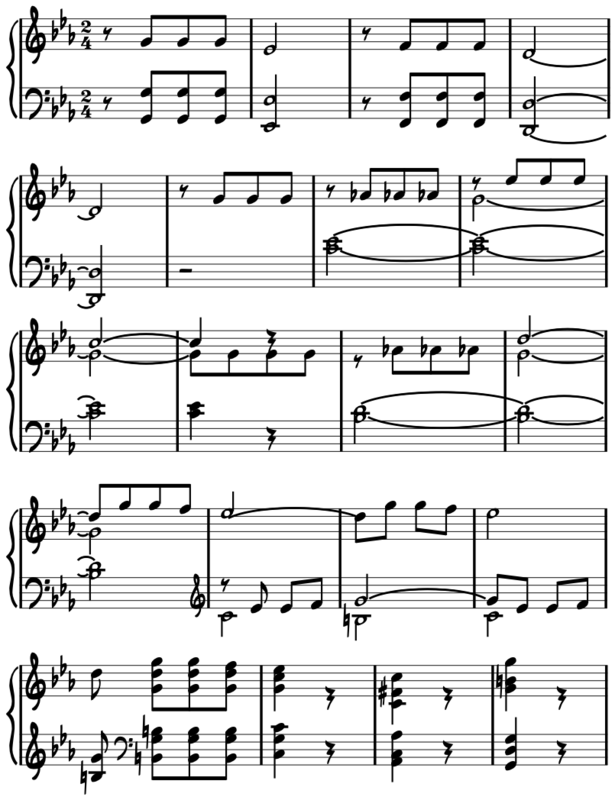 In the last two measures the melody is taken up an octave and the b3 of the G-7 (Bb) is anticipated by an eighth note and approached by a double chromatic from above approach pattern. Don't let all of the technicalities intimidate you. Embellishing melodies with approach patterns is a natural process. Play around with a melody that is familiar to you and go with what you feel and hear. To learn more about approach patterns watch The Four Components of Melodic Construction, Improvisation: The Concept, Improv Drill: Approach Patterns or any of the Improvising Over . . . lessons. ii-V-I progressions are pretty much what bebop tunes are all about. And to improvise fluently over these chords you need to know how to recognize these progressions. One critical element of ii-V-I progressions is that the chords move in perfect 5ths. Therefore, in order to be able to identify these ubiquitous chords you need to know what a perfect 5th is both in notation and in sound. The chord changes to Lady Bird are not too difficult to improvise over. There is long stretches of Cmaj7 and a string of four measure major ii-V-I progressions. You've got a lot of time to linger on each chord and the keys are not too difficult to manage. But take it at a good clip (at bpm=170 like Hank Jones does on his 2008 release Our Delight) and the turnaround can sneak up and bite you. 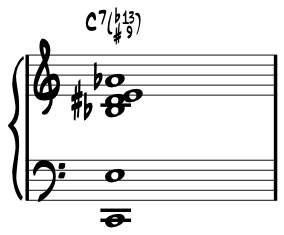 It is two measures of two increasingly tricky dominant chords per bar: C7 - Eb7 - Ab7 - Db7. You could coast over them and hit it hard on the next chorus but there is an easy solution to sound good over this or any thorny progression: use patterns to overcome problem chord changes. Check out the turnarounds of his first two choruses. As the chords get blacker he increasingly relies on patterns. In the first chorus he plays a 1353 pattern over the Ab7 and the Db7. In the second chorus he uses a 1235 pattern over the same chords. Choose one of these patterns or make up one of your own and work it out for each 7th chord type in all twelve keys through the cycle of 4ths, 5ths, chromatically and randomly at a brisk tempo. It is an easy insurance policy for fast and/or dicey progressions. For more on Hank Jones' solo over this tune watch Improvising Over Lady Bird. Chord tones on strong beats are the backbone of a harmonically strong melodic line. In fact, a simple line of chord tones on strong beats played with interesting rhythms can yield a spare but effective improvised line. Take Hank Mobley's opening line of his solo over the tune Remember from his 1960 Blue Note release Soul Station. Listen for it at 0:46. With the exception of two approach notes (the Eb on the and of 2 in measure 1 and the Db on the and of 2 in measure 2) he improvised a lyrical first statement to his solo with nothing more than chord tones. Try this for yourself. Take a progression of chords and improvise a line with only chord tones. Keep it spare and add rhythmic interest to the line. Here is the bridge to the tune Remember with a melodic line composed of only chord tones. Inject some Red Garland sound into your solo by comping chords in unison with the line.To learn more about improvising with chord tones watch The Four Components of Melodic Construction, Improvisation: The Concept, Improv Drill: Chord Tones or any of the Improvising Over . . . lessons. Compare the spelling of the three chords, Cmaj7, E-7 and A-7. Notice how they differ from one another by only one note? Likewise compare D-7 and Fmaj7. Same thing- they differ by only one note. These chords are called functional equivalents. In the key of C the Cmaj7, E-7 and A-7 are all tonic sounding and the D-7 and Fmaj7 are both subdominant sounding chords. To add some variety to this common progression substitute the Fmaj7 for the D-7 and add E-7 and A-7 before resolving to the Cmaj7. The substitute chords freshen the progression by creating a new bassline, increasing harmonic activity and imparting subtle harmonic variation. Try this for yourself. As you play through tunes, substitute like-sounding chords for one another to revitalize the harmony. Beware, though, to make sure the new chords work with the melody of the moment. Use your ears to judge the effectiveness of each new progression. Check out this lesson to see this device in action: From Leadsheet to Arrangement: Star Spangled Banner. There is perhaps no more striking use of motivic development than in Beethoven's Symphony No. 5. Watch Improvising with Motivic Development to learn how to integrate this technique into your solos. Dominant chords in a blues progression function differently than do "regular" dominant chords. Instead of sounding unstable and in need of resolution, dominant chords in a blues setting are at rest. They posess a dominant structure (a tritone) but don't have dominant function (need to resolve) and are said to be special function dominant chords. See if you can hear the difference. Play the progression below. 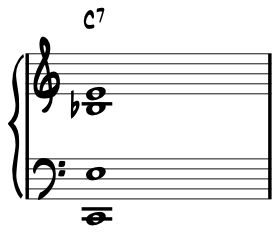 It is the first four measures of a blues progression. Does it sound unfinished? Does it sound like it needs to resolve? The Bb7 in measure 3 of the first progression didn't need to resolve. Why does the Bb7 in measure 4 need to resolve? They're the same chord! They are the same chord but each with different function. The Bb7 in measure 3 is a special function dominant. It has a tritone (dominant structure) but not dominant function (need to resolve) so it is at rest. The Bb7 in measure 4 is a secondary dominant and has typical dominant function- the need to resolve. So go ahead and release the tension- play the Eb7! 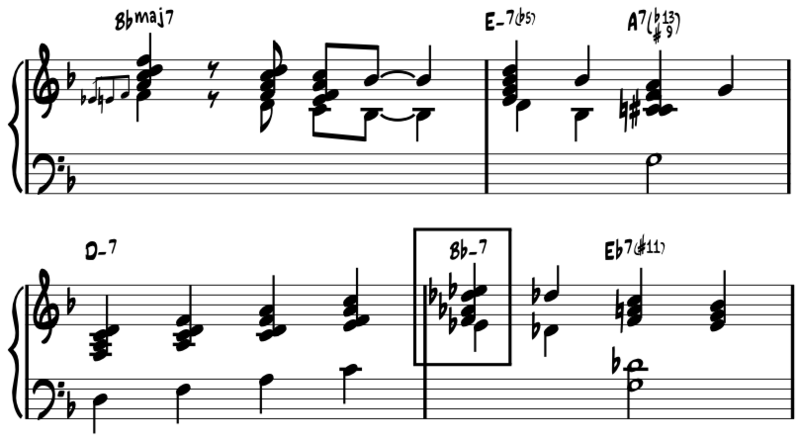 Reharmonizing the blues progression with secondary dominants is common to the jazz blues progression. 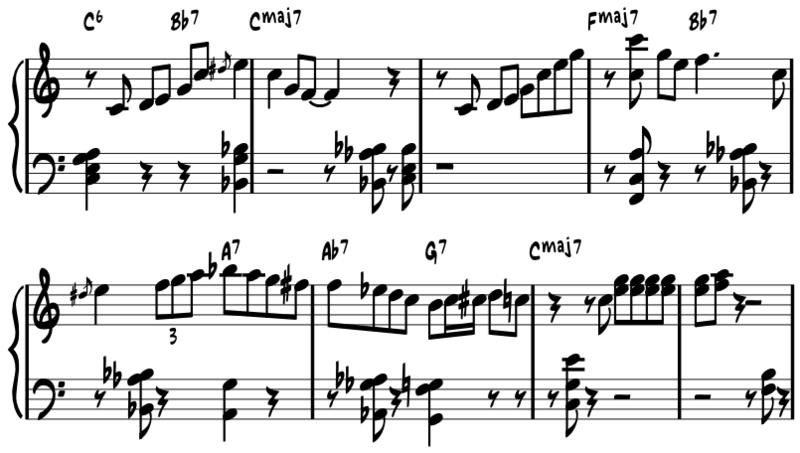 To learn more watch the Jazz Blues Progression Lesson. Jamey Aebersold practically invented the play-along and his collection can't be beat. Band-in-a-Box is a must-have for learning how to play jazz. But what if you've just written a tune in Sibelius and want to hear how it will sound with a jazz trio- NOW? 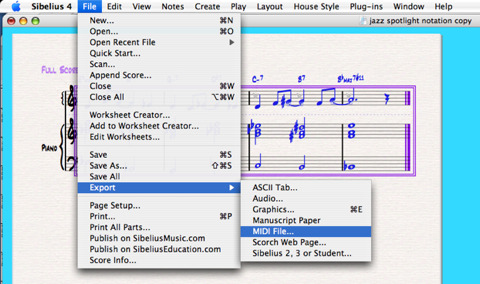 3 clicks gets you an instant play-along file that you can jam with in seconds. Your masterpiece has been created. What will it sound like? 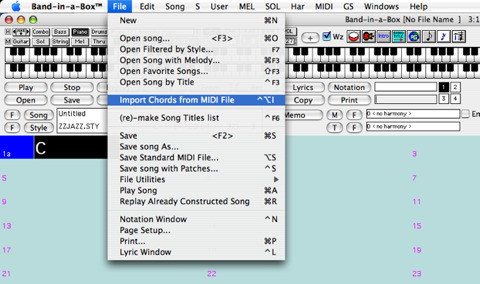 Click 2: Export your tune as a MIDI file. And there you have it. An instant play-along file. Once you are able to improvise harmonically specific lines the next challenge is to incorporate chromaticism into your solos. What exactly is chromaticism? 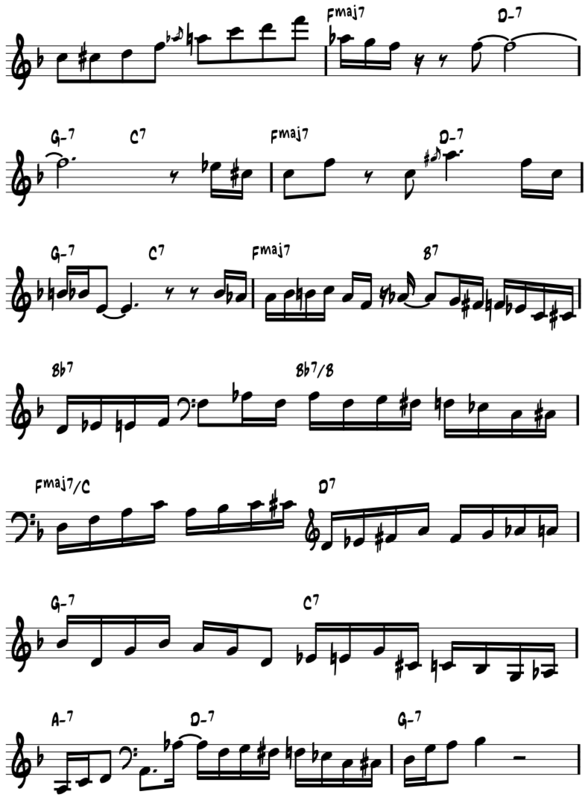 Chromatic literally means "color" and using chromaticism is the technique of incorporating notes from outside the key of the moment into your improvised lines. Here is a perfectly fine lick that isn't chromatic- it is totally diatonic- meaning "from within the key." All of the notes belong to the same key, in this case C, which is arbitrarily defined as the color brown. Here is a line which incorporates chromaticism, one with a lot of color, that uses notes foreign to the key that require the use of accidentals, as demonstrated here by the multi-colored notes. Play both of the licks. THe chromatic one sounds richer, hipper and more, well, colorful. Chromaticism can be accomplished by using approach patterns, 1-4 note chromatic cells that smooth the transition from one chord to the next. You can also incorporate chromaticism with the use of various chorscales- lydian, wholetone and the whole-half scales are just two choices of many. Watch the Four Components of Melodic Construction, Improvisation: the Concept, or any of the Improvising Over... lessons to learn more about adding chromaticism to your improvised lines. Oscar's passing in December 2008 was a big loss for jazz. To celebrate his legacy here is his opening lick in the break of C-Jam Blues on his 1962 Verve release Night Train. Use it to open a solo over C blues or break it up into at least three smaller licks and use them over a C7 chord. His use of on-the-beat approach patterns in the second and third measures delays the resolution of the chord tones that make the final arrival of the G in measure four all the more satisfying. Check out Eliane's impossibly long and fast double time lick on the opening of her solo to the Christmas medley I'll Be Home for Christmas/Sleigh Ride from the 1990 Blue Note disc Yule Struttin' A Blue Note Christmas. Her solo starts at about 2:45 and the six bar lick starts five measures after that. It is a marvel of chromaticism as it twists and turns on a dime. Try to play it in time- it 's a knucklebuster. Click on the image above to download a full-size pdf of the lick. And that is not the only reason to buy the disc. A mix of new material and reissued tracks, you will want to hear Joey Calderazzo's modern take on God Rest Ye Merry Gentlemen and both Benny Green and Dianne Reeves' reading of a previously unknown Monk Christmas tune A Merrier Christmas. Monk wrote a Christmas tune! Complete with lyrics! I told you Christmas music can be good stuff. Highly recommended. Click on the image of the album cover to learn more. Was "Santa Claus is Comin' to Town" Bill Evans' favorite Christmas tune? If the frequency with which he recorded it in the mid 60's is any indication then the answer is a emphatic, "yes." The first was on a Milestones date on January 10, 1963 which resulted in the "Bill Evans- The Solo Sessions" pair of recordings (it appears on volume 2). He then recorded it with his trio on "Trio 64" on December 18, 1963, again in late 1964 which can be heard on the "Complete Bill Evans on Verve" and then finally on the "Further Conversations With Myself" release from 1967. Check out this transcription of the first eight measures of his solo (at about 0:59) from "Bill Evans- The Solo Sessions Volume 2." Unsure where to start? Follow the Roadmap or contact me for personalized advice on how to sequence the lessons. Learn the lesson material faster and more deeply with private, one-on-one live webcam lessons.